Scientists are preparing to launch the worlds first ever cleaning machine that will remove the planets largest mass of plastic from the ocean. 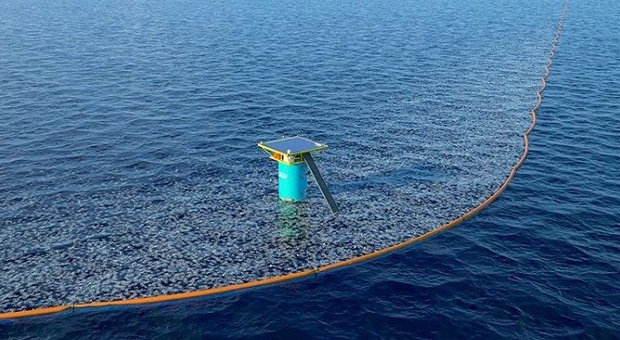 The system, which was originally invented by a teenager, will be shipped out this summer to the Great Pacific Garbage Patch, between Hawaii and California, which currently contains an estimated 1.8 trillion pieces of plastic. this will be the first time humans have ever attempted to clean the patch since its discovery in 1997. The Independent reports: The experts believe the machine should be able to collect half of the detritus in the patch – about 40,000 metric tons – within five years. In the past few weeks they have been busy welding together giant tubes that will sit on the surface of the sea and form the skeleton of the machine, creating the largest floating barrier ever made. The Great Pacific Garbage Patch (GPGP) spans 617,763 sq miles - more than twice the size of France, and contains at least 79,000 tons of plastic, research found last month. 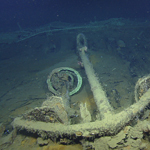 Most of it is made up of “ghost gear” – parts of abandoned and lost fishing gear, such as nets and ropes – often from illegal fishing vessels. Ghost gear kills more than 100,000 whales, dolphins and seals each year, according to scientific surveys. Seabirds and other marine life are increasingly being found dead with stomachs full of small pieces of plastic. Creatures eat plastic discarded in the sea thinking it’s food but then starve to death because they are not feeding properly. 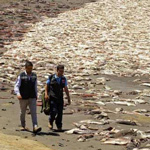 Others are trapped and die of starvation or are strangled or suffocated by ghost gear. More than 8 million tons of plastic is dumped into our oceans every year, according to the US-based Plastic Oceans Foundation. Up to 90 per cent of the world’s plastic items are never recycled, and scientists believe nearly every piece ever created is still in existence somewhere, in some form, with most going into landfill or the environment. Single-use plastic, such as water bottles and nappies, take 450 years to break down. 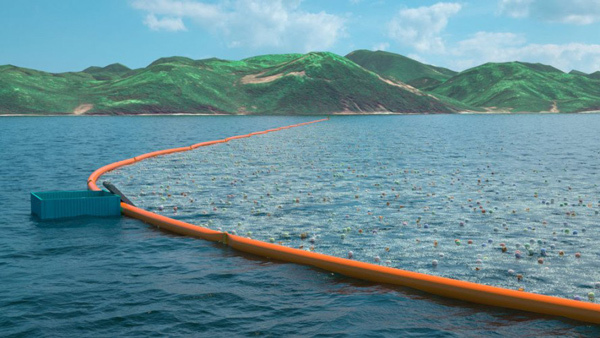 The system to tackle the largest swirling mass of rubbish in the Pacific has been designed by a non-profit technology firm called The Ocean Cleanup, set up by Dutch inventor Boyan Slat when he was an 18-year-old aerospace engineering student. “The plastic pollution problem has always been portrayed as something insolvable. The story has always been ‘OK, we can’t clean it up - the best we can do is not make it worse’. To me that’s a very uninspiring message,” said Mr Slat. The clean-up contraption consists of 40ft pipes – ironically made of plastic – that will be fitted together to form a long, snaking tube. Filled with air, they will float on the ocean's surface in an arc, and have nylon screens hanging down below forming a giant floating dustpan to catch the plastic rubbish that gathers together when moved by the currents. The screens, however, will be unable to trap microplastics – tiny fragments. Fish will be able to escape the screens by swimming underneath them. The Ocean Cleanup team aim to launch the beginnings of the system from the shores of San Francisco Bay within weeks, start it working by July and then keep extending it. They plan to have 60 giant floating scoops, each stretching a mile from end to end. Boats will go out to collect debris every six to eight weeks. Mr Slat was 16 and still at school when he was diving in Greece and first saw for himself the amount of plastic polluting the sea. “There were more bags than fish down there,” he recalls. Two years later he came up with a solution, quit university after six months and set up The Ocean Cleanup as a company. Following a crowdfunding campaign that raised £1.57m and later investment bringing the total to £28.56m, the company now has 65 paid staff, including researchers and engineers. Mr Slat, 23, says the first plastic to arrive on shore will be a major milestone.